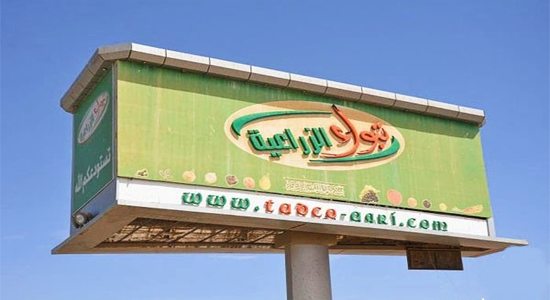 Tabuk Agricultural Development Co. (TADCO) has exited The Flour Mills Co. and turned its 60 percent stake in the company into a new fodder firm in partnership with Ahmed Hussein Ahmed Al Amri Foundation. The move is still pending regulatory approval of the Capital Market Authority (CMA), Saudi Grains Organization (SAGO) and the Saudi Industrial Development Fund, the firm said today in a statement to Tadawul. The financial impact of this update will be determined after updating TADCO’s feasibility study, however it is expected to have a positive impact on the firm’s results, it said. According to data compiled by Argaam, TADCO said in November that it was ready to acquire 60 percent in newly established Flour Mills Company. It signed a SAR 1.25 million contract in February 2018 for that purpose.